Come and Join Us at Our Next Social! 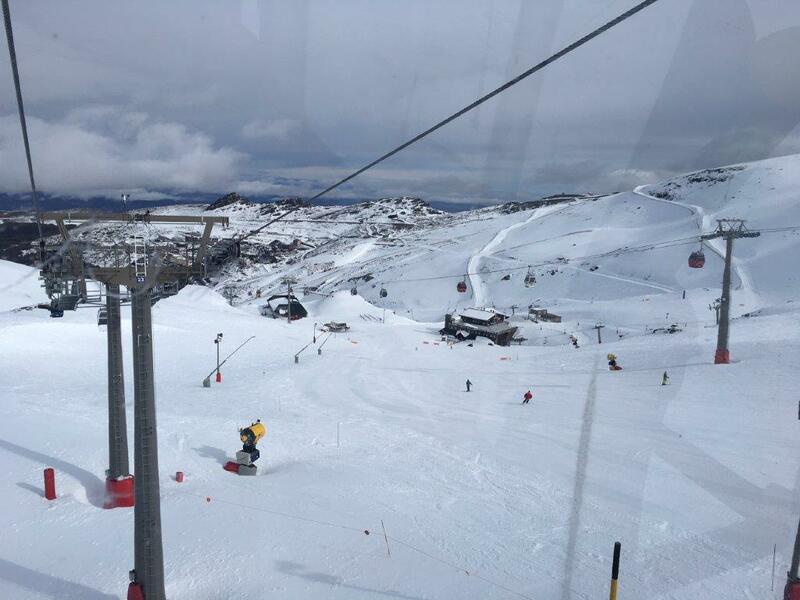 Ahhhh…..with the wrap up of Spain and Jackson Hole trips, another great snow season has come to an end for Orlando Ski and Travel Club skiers and boarders. Always sad to see it end; yet, excited for summer activities! OSTC already has a rafting trip scheduled to Blue Ridge Mountains with a Savannah stop on the way home. Plus, I still intend to put together a Suwannee River Kayak guided adventure including a picnic at “Kat’s Kabin”. Also, watch for our local activities, such as Wednesday’s Happy Hour Art Tour at Alfond Inn (April 4th) with world renown art from Rollins Cornell Museum. 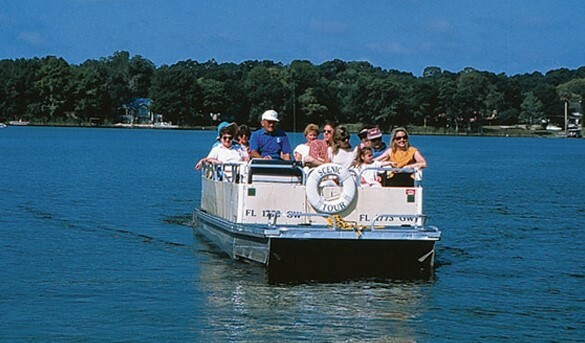 Followed by the Winter Park Scenic Boat Tour (always a favorite) on April 19th at 6:00 p.m. Soon we’ll announce Brevard Zoo rope challenge, Trail Bike Rides and more! Watch OSTC’s web page (www.orlandoskiandtravelclub.com),plus make sure you’re a member of Meet-Up (www.meetup.com>sking) so you’ll see our announcements of impromptu Happy Hours and other events. 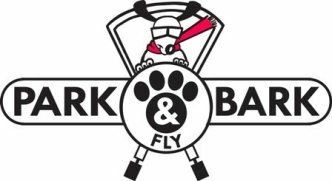 Also visit our Orlando Ski and Travel Club FaceBook page. I’m proud to report, a very successful week was spent at Winter Park, Colorado’s Extreme Mobility Camp by students of St Augustine School for the Deaf and Blind, helped made possible in part by OSTC donations. 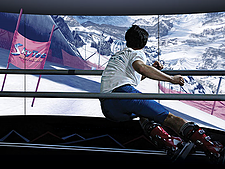 Can you imagine the thrill of skiing downhill with a blind fold over your eyes? Or not being able to hear the sounds of the others on the mountain? How brave are these kids, see their picture below!!! Every trip Orlando Ski and Travel Club offers has a $10 donation built into the price. In addition, all Florida Ski Council trips have$5 donation built in. At the Spring FSC meeting annually the Council and OSTC present a donation to this school and to the Veterans Adaptive Sports Program.This amounts to several thousand dollars which helps sponsor these kid’s participation in this camp! 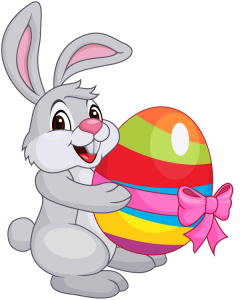 Plus, this year, OSTC collected an additional $1,000 from our members personal donations. So proud of our members for helping make this possible! In accordance with our By-Laws, May will be OSTC’s annual election of Officers. We NEED leaders to step forward to help guide our club to the next level. We’regrowing, we’ve expanded our offerings to our Members, our monthly Socials have been hugely successful, and we offer a lively Holiday party! Let’s keep it going! As a recruitment incentive and reward for your service, the Club now offers a Trip Discount to our Board Members for your time and dedication.The Board meets 4-6 times annually, our Director’s have specific roles and we operate as a TEAM! We are an ALL volunteer organization, we depend on various members taking a turn at leadership, it’s your club, we need your skills! We’ll keep it fun! Thank you for considering submitting your Interest Application form, we need it by the end of April, please! We will also accept nominations from the floor at the Social on May11th . See you Wednesday at Alfond Inn and then the following Wednesday, April 11th at WP Ale House for our monthly Social! ELECTION OF OFFICERS WILL BE HELD WEDS, MAY 11TH. SUBMIT INTEREST FORM BELOW NOW!!! 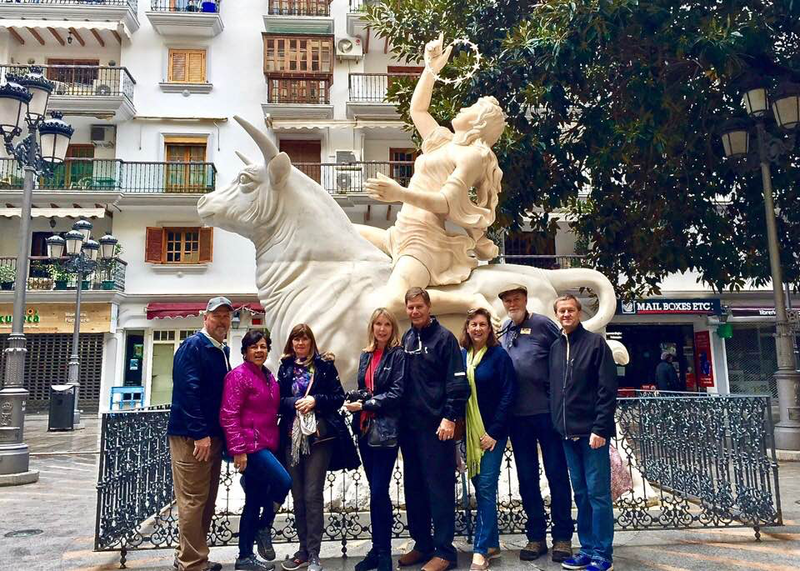 In March, Orlando Ski and Travel Club headed to Spain with 45 trip participants for 14 days. By all accounts, it was a wonderful trip! We started our adventure in Madrid with a fabulous private Spanish dinner in a “cave”. We visited the Prado Museum, the Royal Palace, Almudena Cathedral and danced the night away in a 1970’s disco! 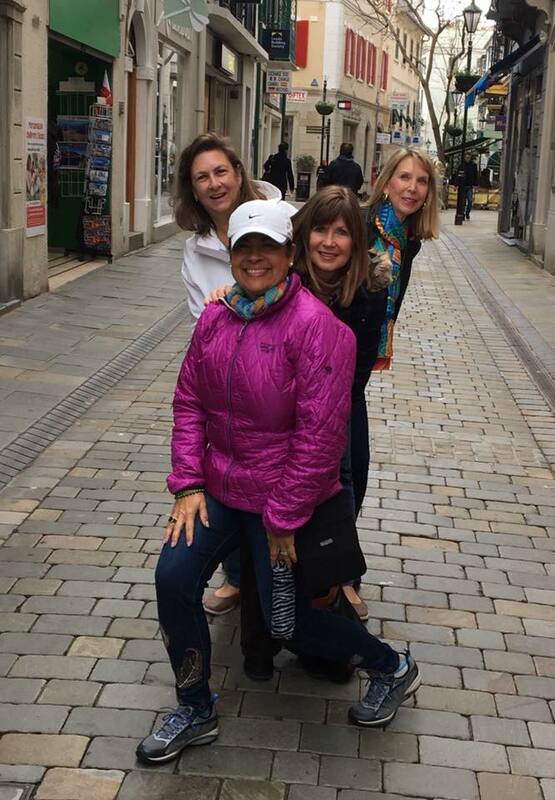 From Madrid we took a high-speed train to Granada, bustling city at the base of Sierra Nevada ski mountain. We had several days of blue bird sky fabulous ski conditions, and a couple other days with a variety of other weather conditions; quite the experience with fun being had in ALL conditions! 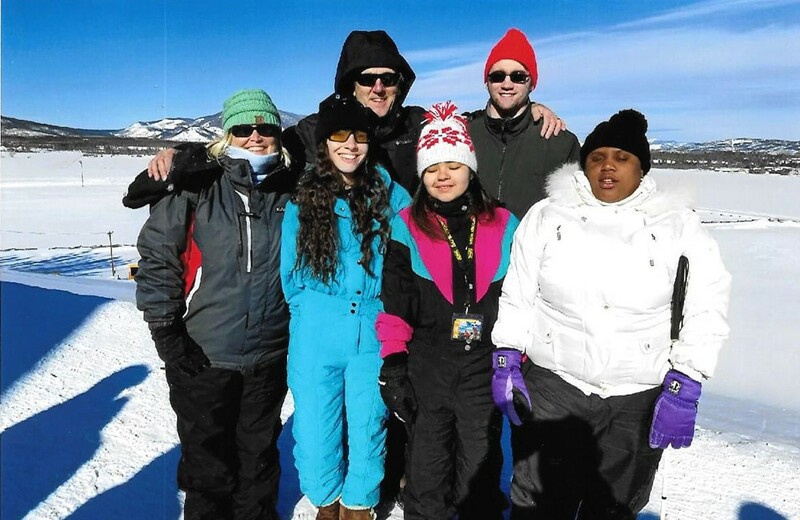 While I went with the skiers, my Co-Leader Betty Downs took others touring. They toured, tasted & learned about Olive Oils produced from the locally grown groves where the lions share of world olives come from, some trees being over 1,000 years old. And saw enough cured ham legs to feed the world! Learned how the locals live in a few small villages including the gypsy cave homes, plus enjoyed a winery tour and tasting. We also toured the Mosque of Cordoba with it’s amazing architecture. It is unique in that it has been occupied by Moorish, Catholics and Christians, each mostly respecting the architecture of the other while building on their own structure to represent their style. 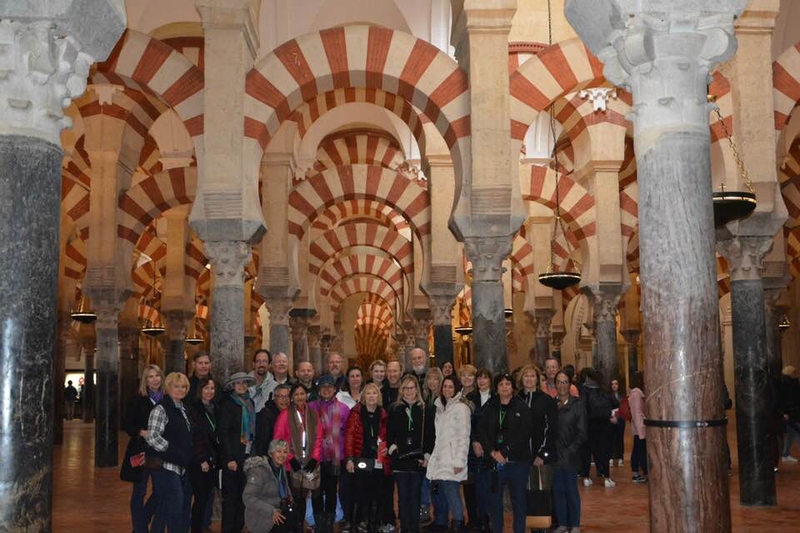 We all toured Granada on foot with an extremely knowledgeable guide and then split into smaller groups to tour UNESCO World Heritage site of the Alhambra Palace. 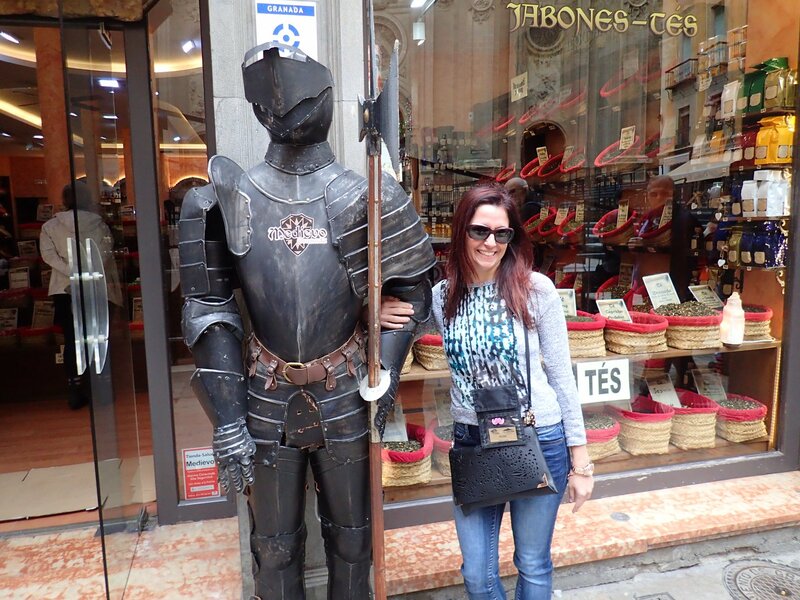 We followed Granada by going to the beach…yes snow and sand same trip! The Mediterranean Sea no less! We had glorious views with wonderful sunrises, walked on the beach, climbed a million steps to the old Village and dined on fresh fish served complete with head, tail & eyeballs…ugh; yet, it tasted great! We visited the Rock of Gibraltar with its famous monkeys, Morocco and other near-by villages. We saw centuries old castles and churches. 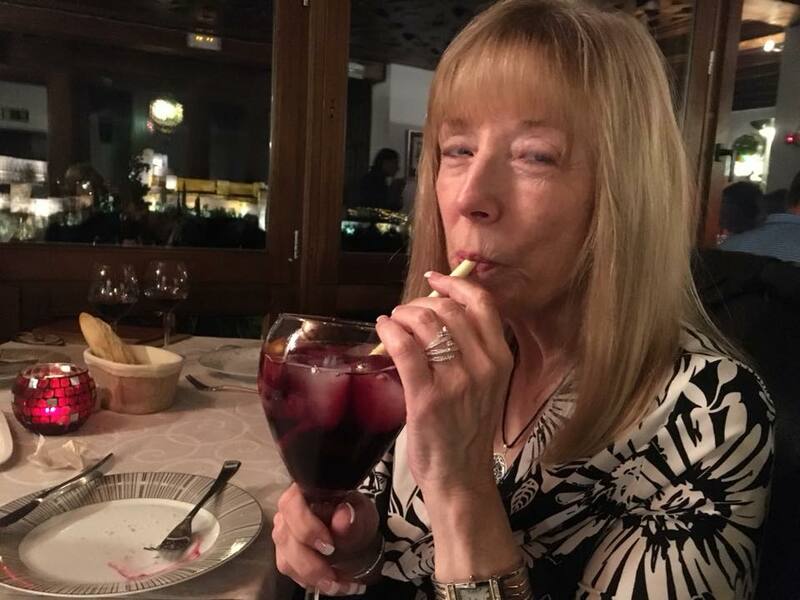 Enjoyed Happy Hour on roof top terrace overlooking the Sea, dined on fresh seafood and consumed copious amounts of delicious sangria! Mostly we walked and walked and walked some more averaging about 15,000 steps a day! After 14 days together of wonderful comradery, 24 of the group came home and 21 of us went on to Lisbon for another wonderful four days of fellowship and touring. In route to Lisbon we had a delicious lunch at a convent. 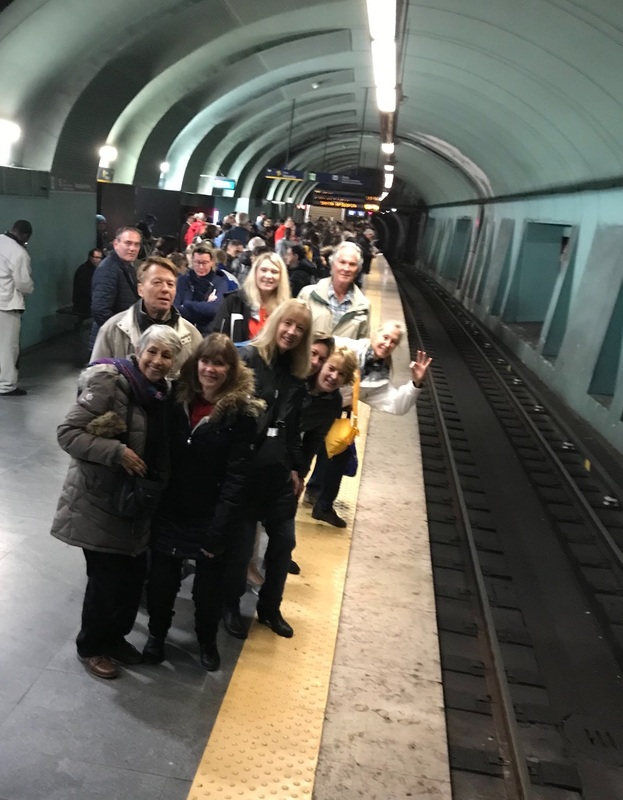 Upon arrival in Lisbon, we toured the city with a guide, dined on the most fabulous Ahi Seared Tuna, had another unique and yummy group dinner, visited a very eclectic Pena Palace, rode Historic Tram #28 and walked another million miles! The trip was wonderful in all ways; yet, the BEST part was 45 awesome people who shared great comradery, lots of laughs and bonded unbelievably well! We were a GREAT team/family! I hope we can repeat the same team for Cortina, Italy in March 2019! I have been to Jackson Hole at least 5 times and can honestly say “JH never disappoints”. This trip was just another example of how much fun JH can be for skiers and non-skiers. So, let me start with the only bad, so, I can tell you about all the good. Before we arrived, JH had received over 300 inches of snow, second to only Whistler/Blackcomb. However, there was very little new snow during the week. It required the skiers to be selective on which trials to take throughout the day. I found the almost all the runs off the Casper lift were great. The rest of the mountain still had enough trails prep by the JH grooming team to be really fun, without being too adventurous. 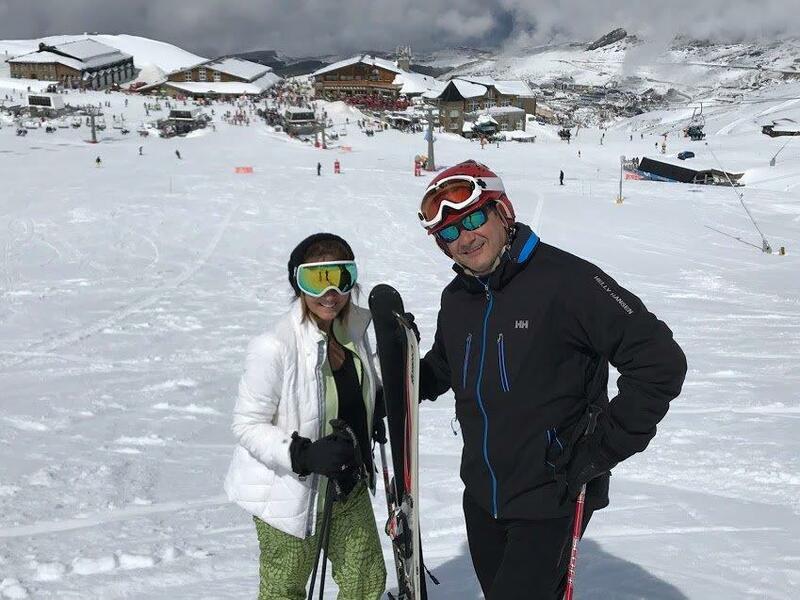 Everyone had plenty of time on the slopes to have fun. And if you needed a break, there was always great food and drink at one the best bars at any ski resort, the “Mangy Moose”, where we had the group’s on-the-mountain lunch. 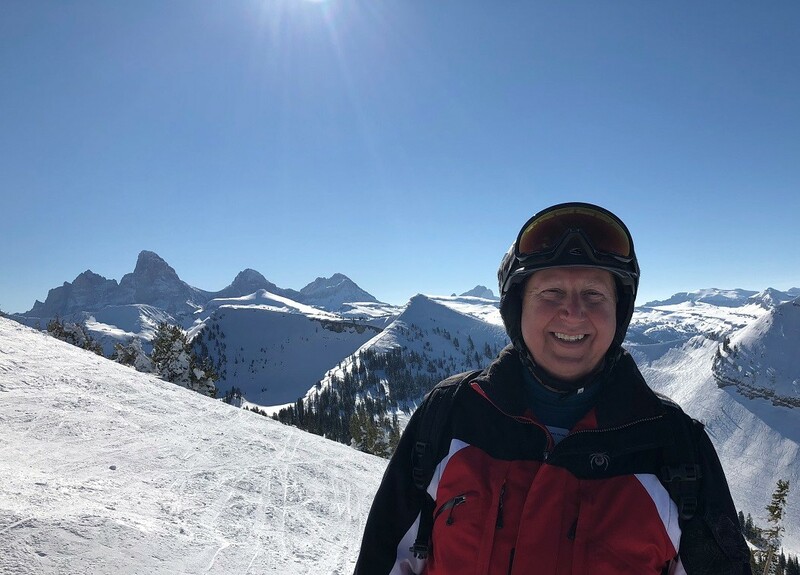 On Tuesday, most of the trip participants took the 1-day excursion over to Grand Targhee Resort, on the western slopes of the Grand Tetons. Although the group had be selective on the trails to ski (same lack of new snow), it was obvious why this resort is such a well-kept secret. Grand Targhee has some beautiful runs, few skiers and had the Tetons in the background. 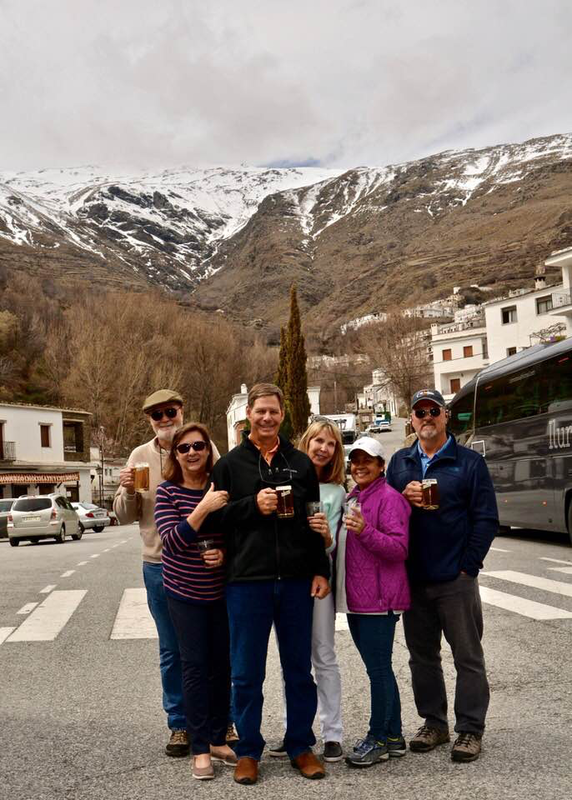 The best part of this 1-day trip to GT was the Après Ski at the home of Orlando Ski and Travel Club members, Roy and Sandra Walters. Roy and Sandra have winter home just a few miles away from GT, which is Roy’s favorite place to ski. With their telescope, you can actually see skiers on the GT slopes. AWESOME!!! I can speak for my fellow trip participants and say, “Thank you, Thank you, THANK YOU, Roy and Sandra for inviting us into to your beautiful home and your wonderful hospitality!” It was great day! Alright, you might be asking, “Without much new snow, why were you not disappointed?” The answer is simple – Jackson, Wyoming. There is so much to do and see in this area and town. With many great bars and restaurants, we definitely had great food, good music and plenty of comradery with old and new friends. Trip participants took advantage of excursions into Yellowstone Park, horseback riding, and a tour of the Elk Preserve. There is just so much to do on this trip, you hate to give up skiing time to do other non-ski events. And to top it off, the Owner of our lodging (The 49’er) treated our trip participants to a dinner of wild game bar-b-que (his family’s recipe). It was delicious! I will speak for the trip participants one last time and say, “Thank you” to our Trip Leader, Mindy Boehm and her (lesser-half) assistant Jerry, for all the hard work they did in preparing for this trip. It was sad this was Mindy’s last trip as a trip leader, and that she could not enjoy much of the trip due to being ill most of the week. We will miss your leadership and the wonderful personality you bring to all your trips. In closing, I have one question. “When are we going back to Jackson Hole?” I ready to go again! If you have been to The Alfond Inn you can't miss their bright and eclectic Art Collection. The upscale Winter Park hotel conducts Happy Hour tours on the first Wednesday of every month. The evening soirees will let patrons take advantage of the hotel bar's happy-hour deals before or after the docent-led trips through the gallery, because art often goes well with a drink, too. The tour is free, drinks are on your own. You do not need to be a club member to attend this event, feel free to invite a friend to come along. Happy Hour starts at 4:30 pm, the tour starts at 5:30 and ends before Happy Hour does. Come sail away with Debbie and Sarah for a private tour of the Winter Park waterways. We are limited to 14 attendees to fill the pontoon boat for Orlando Ski and Travel Club members only. Adventuresome for the first timers seeking flora and fauna or the savvy Orlando natives seeking an off-the-beaten-path experience won’t be disappointed when they discover the Winter Park Scenic Boat Tour. Located on Lake Osceola in the quiet suburb less than 10 minutes from downtown Orlando, the boat tour offers an hour-long, guided cruises through three of the seven lakes and two, narrow manmade canals on the tranquil Winter Park chain. On any given tour, participants may observe large cranes swooping waterside to snag a large fish or a lazy alligator languishing on a nearby bank. An occasional water skier or racing shell full of crew members from the areas private liberal arts college, Rollins, is also enjoyable sideshows for tour goers. Every tour, however, guarantees plenty of swaying palms, towering cypress trees, lush ferns and a variety of flourishing sub-tropical flowers. Breathtaking views of opulent private homes and exquisite estates sprawling along the shores are also a key feature of the scenic cruise. The private boat tour is $15 per person. Afterwards lets continue on for a drink or dinner to continue the adventure on land. Please contact Debbie at 407-415-7387 or e-mail her at Debbie@GlamourGrooming.com for more information or to reserve your spot. 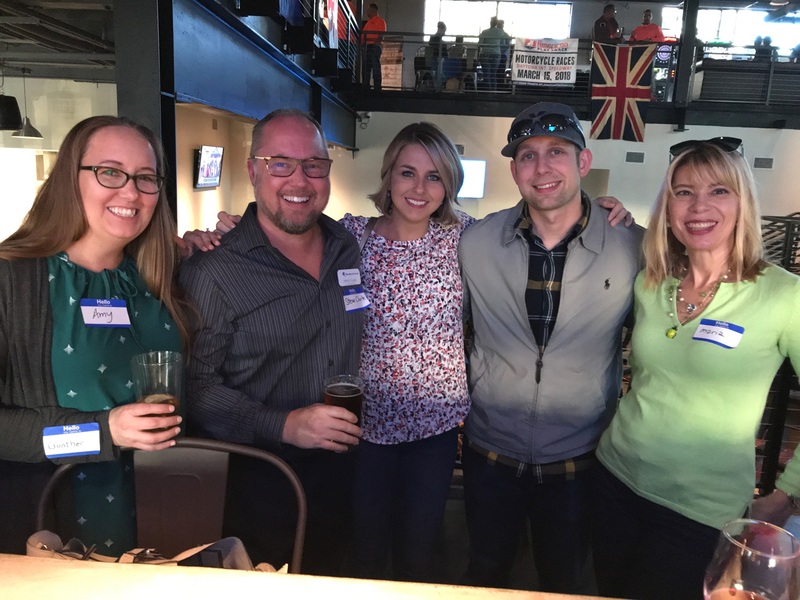 Funday Humpday Social Happy Hour for Active 20’s 30’s and 40’s - meet other people that love participating in activities such as Running, Hiking, Tennis, Snow Ski and Boarding Trips, Adventure and Party Trips! Just stop by, say hi and hang out for bit. We’re meeting in a Super New Downtown Orlando location at the ACE Café with Easy, Convenient and Free Parking. 4-7pm Happy Hour Specials include $3 Domestic Drafts, $4 Wine, $4 Drinks and $6 Happy Hour Eats menu! RSVP on Meetup.com https://www.meetup.com/skiing-96/events/mqvklpyxgbxb/ and Save this date Wednesday 4/18/18 on your calendar now! Our inaugural March Humpday Happy Hour was a Success bringing a really fun group together that socialized long enough to close the bar!! If you ski multiple times per year and feel an annual lift ticket pass is for you Orlando Ski and Travel Club has made it easy and convenient for you to compare and purchase 2 worldwide multi-resort passes using this 2 website link. In addition, Orlando Ski and Travel Club will continue to offer discounted lift tickets on each trip that we run the same way we always have; as you sign up for each trip. Below are the ski locations that are in the works and being planned for 2018-2019 so that you may more easily plan your different ski destinations for next year and compare which resort is being offered on which annual pass. Take notice that current initial pricing on these annual passes is only good through 4/9 IKON and 4/15 EPIC respectively. 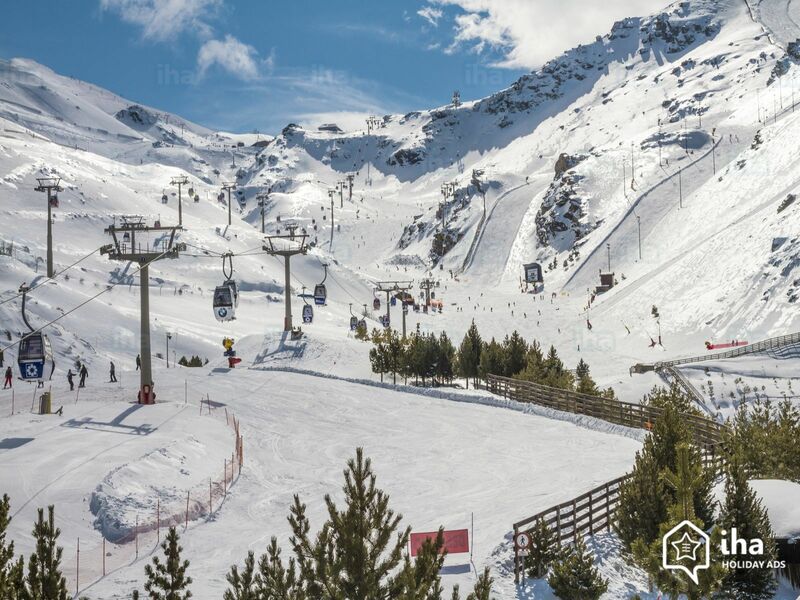 WE WILL have the usual discounted lift tickets available to purchase with each trip. 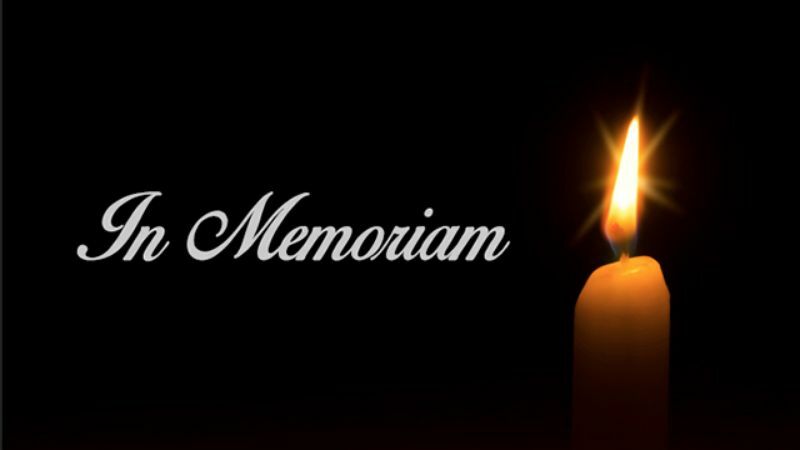 OSTC is very sad to learn of the passing April 1st of long time Club member, Marty Berger. Memorial Service to be held Wednesday, April 4th in Miami. Airport parking for flat $5 a day. Just show an OSC badge when you exit. 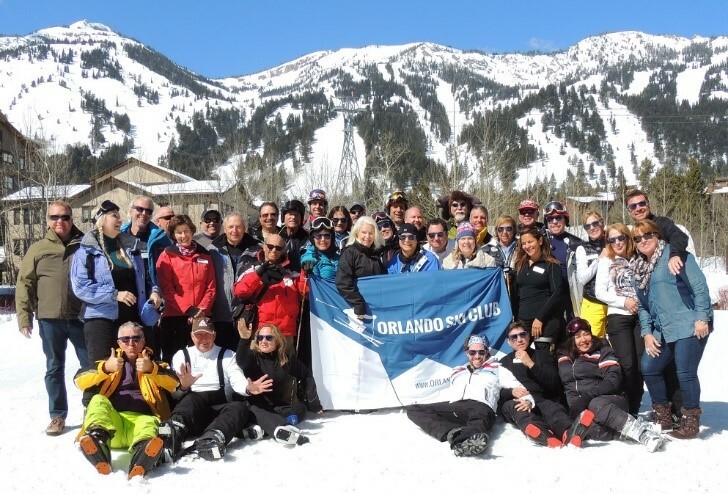 The Orlando Ski and Travel Club is a year-round, volunteer-run social organization with over 300 adventurous members whose winter activities center on snow skiing and snowboarding. 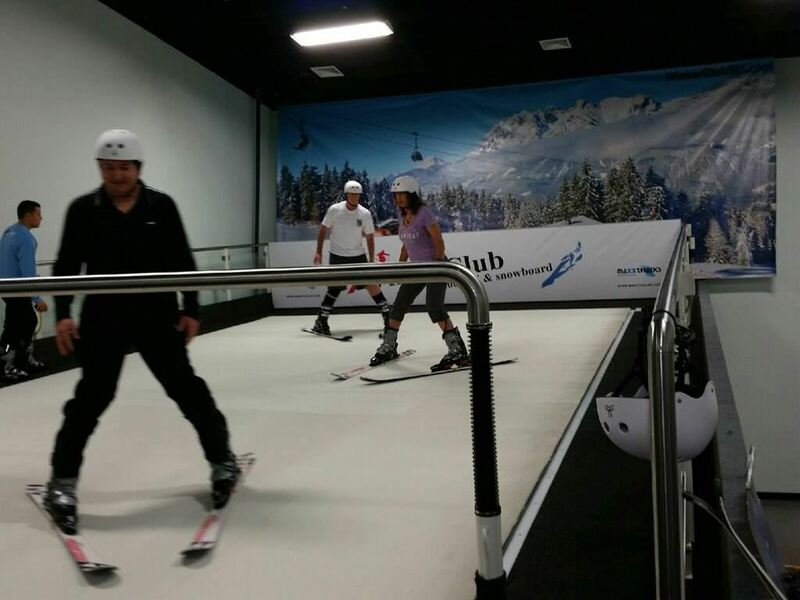 Since 1976, the Club has been offering trips to top-rated ski destinations world-wide. We are a proud member of the Florida Ski Council . 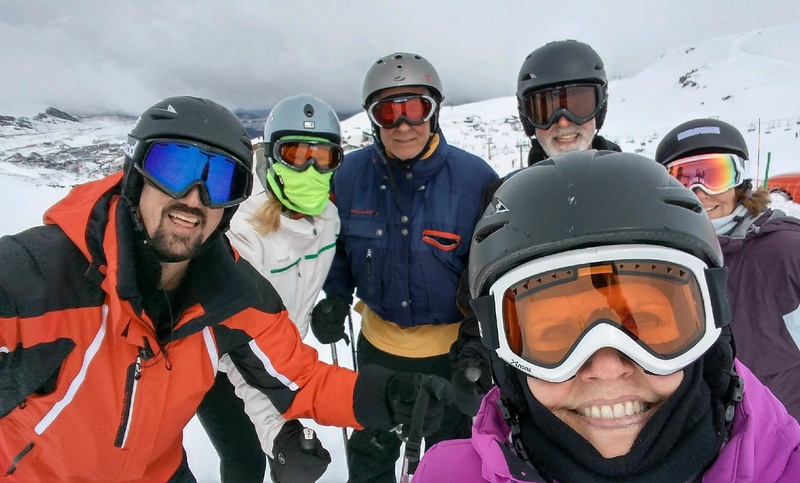 In addition to fabulous group ski trips, the Orlando Ski and Travel Club offers a variety of activities and social events to keep you busy during the "off" season. 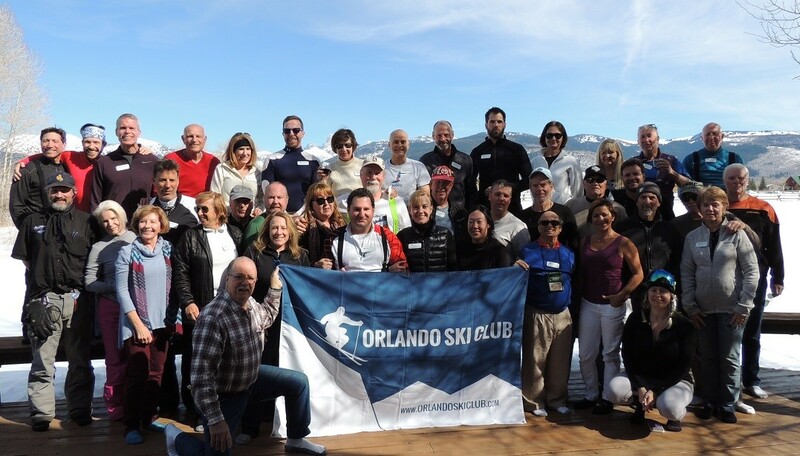 From wine tastings to cruises and weekend excursions, the Orlando Ski Club is your year around social club. Join today and start enjoying the camaraderie and fun! 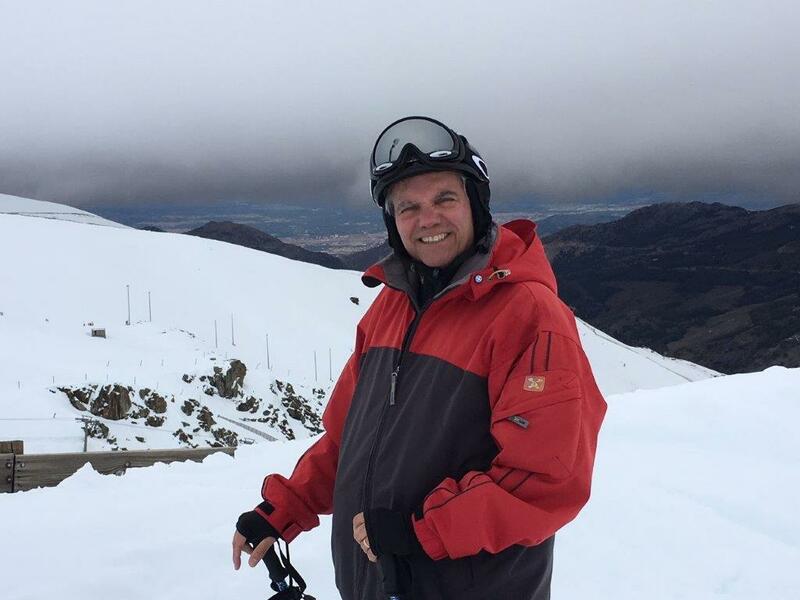 Copyright © 2015 Orlando Ski and Travel Club. All rights reserved.